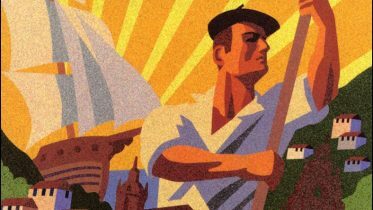 Although recently there are signs of certain advances, many of the non-governmental organizations of the Basque Country are still using antiquated cooperation policies, limiting them to models from the past. There are no solid criteria on how to overcome these pure assistance policies and the panorama of cooperation is totally dominated by conventional and large Non-Governmental Development Organizations (NGDOs). Certainly, these classic NGDOs carry out useful and necessary projects related to infrastructure, health and education. However, their work and impact is one-directional: the beneficiary communities are accustomed to receiving money and this leads to being in a subordinate position to organizations rather than becoming part of sustainable self-development. At the same time, since it is not a reciprocal process, this method of cooperation does not achieve any impact in the supporting communities; in any case, the impact is relegated to the immediate environment of the NGDOs. The Garabide Association hopes to change this praxis of the 20th century to a new model of cooperation based on the exchange of experiences. The organization was formed in 2005 in Eskoriatza (in the province of Gipuzkoa) in order to share the experience gained in recent decades by the administrative and social movement in the Basque Country to develop and standardize the Basque language. It is the spearhead of more than 50 institutions that work in different areas for the Basque language (education, corpus of the language, and media.) 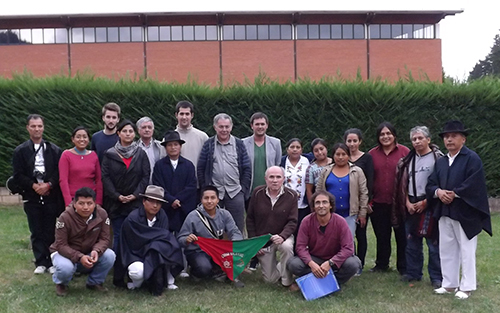 Although it maintains a strong link with the University of Mondragon, Garabide is an autonomous organization. When it comes to undertaking a cooperative project, a country should not wonder how much money it has to put forth, but rather what experiences it will share; which of its processes could serve as a guide or example for other communities. Garabide is based on this reflection. And among the multitude of processes experienced by the Basque people, it is especially focused on one: the revitalization of the language. In the past 50 years, the Basque language has gone from being on the verge of disappearance to advancing significantly in some areas. The revitalization of a language is a process that encompasses many fields, such as media, educational institutions, academies or government. Starting from this general perspective and looking at the progress made during those years, Garabide shares the experience of the Basque language with other minority language communities of the world, hoping that this might light the way in some respect. It is expected that many languages will not survive this century. Most of the native languages of the world are on the list of languages which will disappear in the not too distant future if the trend does not change radically, and many communities are not aware of the magnitude of the problem. In addition, they do not have any clear strategies to revitalize their languages. That is why it is so important to have knowledge about the developmental process of the Basque language, to identify all the factors that have helped to revitalize the language and to transmit that global vision to other groups seeking to revitalize their languages. In addition, it is also essential to inform about the work being done by organizations in specialized and specific areas of language development, since only a general notion is insufficient. It is clear that this kind of cooperation is bilateral, and since there are no magic formulas for revitalization that can be applied universally, reflections that emerge from the exchange between different linguistic communities can serve to raise new issues to the world of Basque language development. This is the role that Garabide plays, and although it is surprising, there is no evidence that anyone else is doing this type of work in the world. 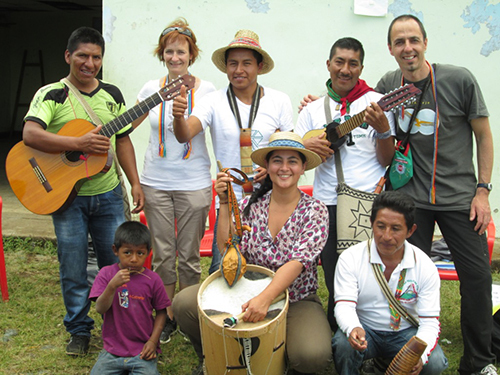 So far, cooperation has been focused on communities from Latin America, as in the case of the community Kwet Fxi´jnxi of Cauca, Colombia, in which progress was made on the training of teachers about the process of creating “Nasa” schools. Lately, however, Garabide is building bonds with other communities from North Africa and the Middle East. 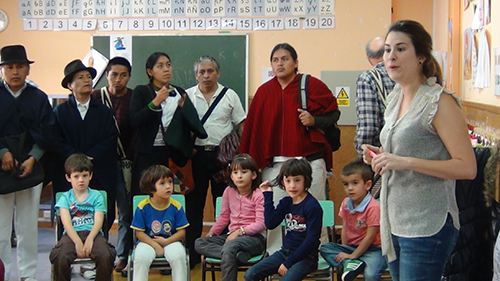 An example of this is the second edition of the postgraduate program “Strategies of Development and Revitalization of Languages and Native Identities,” which took place in Eskoriatza. This program focuses in on the Basque language and is aimed at leaders and people of high projection that belong to minority linguistic communities. This year, for the first time, three continents of the world have been represented by fourteen students, including a delegate from Libya as well as another from Kurdistan. Experience has shown that the impact caused by these encounters far exceeds the effort that goes into organizing them. Even so, and as much as the theoretical aspect of this message is accepted, the language criterion is not taken into account in cooperation projects. Garabide believes that linguistic cooperation must not only appear in the criteria of the projects, but also has to find a place in governmental agendas. It is time to rethink the inertia and reflect on the desired model to promote. 2 Comments on "The Revitalization of the Basque Language as a Model for Other Minority Languages in the World"
opportunity to learn the Basque Language. the language, perhaps now I do.